Dr. Dattoma earned her medical degree from Universidad Autonoma de Guadalajara in Mexico, with additional training at Fifth Pathway, New York Medical College. She completed her internship at the University of Medicine and Dentistry of New Jersey and residency in Internal Medicine at Harbor UCLA Medical Center. 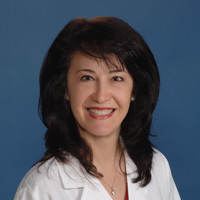 Dr. Dattoma completed a fellowship in Faculty Development at Harbor UCLA Medical Center and a fellowship in Geriatric Medicine at UCLA School of Medicine.